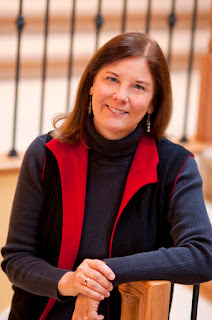 Welcome to Mailbox Monday, the weekly meme created by Marcia, formerly from The Printed Page, where book lovers share the titles they received for review, purchased, or otherwise obtained over the past week. Mailbox Monday currently is on tour, and this month’s host is Mrs. Q: Book Addict. I can't wait to read it. Thanks you Melissa and thanks to the publisher for my copy! Six Word Saturday is a meme hosted by Show My Face. 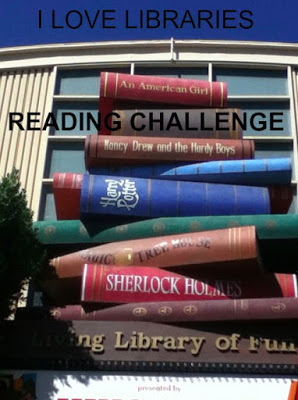 Want to play along? All that's necessary to participate is to describe your life (or something) in a phrase using just six words. For more information, try clicking here. Feel free to explain or not explain. Add an image, a video, a song, nothing. Hurray for the gorgeous summer Saturday! After weeks of unending heat wave, a morning of bearable summer weather with reasonable humidity was such a delight. And to have such a beautiful day on a weekend! I went to a Farmers' Market with my daughter. Life is good. 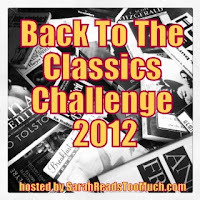 I re-read my classic for the Back to the Classics Challenge: Madame Bovary by Gustave Flaubert. Written in the mid-nineteenth century, this French novel tells the story of a bored, shallow middle class young lady. When her father broke his leg, she attracted the attention of a local doctor, Charles Bovary. After a short courtship (and the death of the doctor’s first wife) they were wed. They were mismatched from the start. Charles Bovary is a placid, dull fellow. He is delighted with his beautiful young wife and believes her to be happy because he is. He plods through life, doing what is expected of him. Emma Bovary, on the other hand, frets her way through life. She yearns for high romance and shiny things. She grows furious with her husband and seethes with resentment because he cannot understand the depths of her unhappiness. She spends money they do not have. And finally, she finds the excitement she craves by taking a lover. Naturally, this does not end well. Rather than a plot summary, which can be found here and other places, I just want to highlight the benefits of re-reading a classic. I read this many years ago and the details faded in my memory until I remembered little more than a blurb. 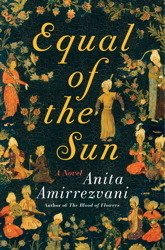 It’s a book about a woman who commits adultery and pays the price. But that isn’t exactly what I recalled from the book. I wanted to see what all I had forgotten. What stuck out in my mind mainly was Charles Bovary’s failed attempt to cure the servant’s clubfoot. (Why on earth did that make so big an impression? It’s actually a very minor scene. This time it was a little thing, but I swear it was the defining moment the first time I read the book.) I also recalled that Emma’s wild spending played a bigger role in her downfall than her adultery did. But I didn’t remember how she got "caught." I thought her affair was exposed also. Now I know why I couldn’t remember that scene. Her adultery never really was publicly exposed. On re-reading, I was struck by just how sad a life Emma lived. She hasn’t even the excuse that she married the wrong man and then met the great love of her life. Emma was just a bored woman on the prowl for a little excitement. And the excitement of the affairs didn’t last. The men eventually grew bored with her. She was trapped in a situation she didn’t know how to escape. I think I had a little more empathy for her–for her thought processes. I could understand the downward spiraling of her boredom and frustration. However, she lost me with her self-absorption. Finally, I was surprised by the humor/irony in the book. The druggist, Homais, is an ambitious man and a chatterbox, a wonderful foil to Charles Bovary. The book is, of course, a recognized masterpiece of realism. The marvelously detailed writing will sweep you back into the small-town nineteenth century French world. 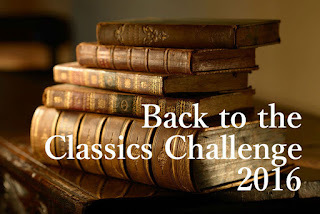 I’m now just past the half-way mark in my Back to the Classics Challenge reads. I hope I make it! 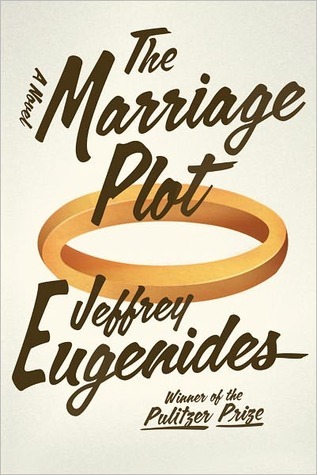 Jeffrey Eugenides is a marvelous writer, but overwhelming somehow. I feel like I’m so far behind, I’ll never catch up on his books. It isn’t that the body of work is so huge, it’s just that there is no excuse for me to be behind at all. I remember when Middlesex was first released. I remember thinking: That sounds interesting. I should read that. 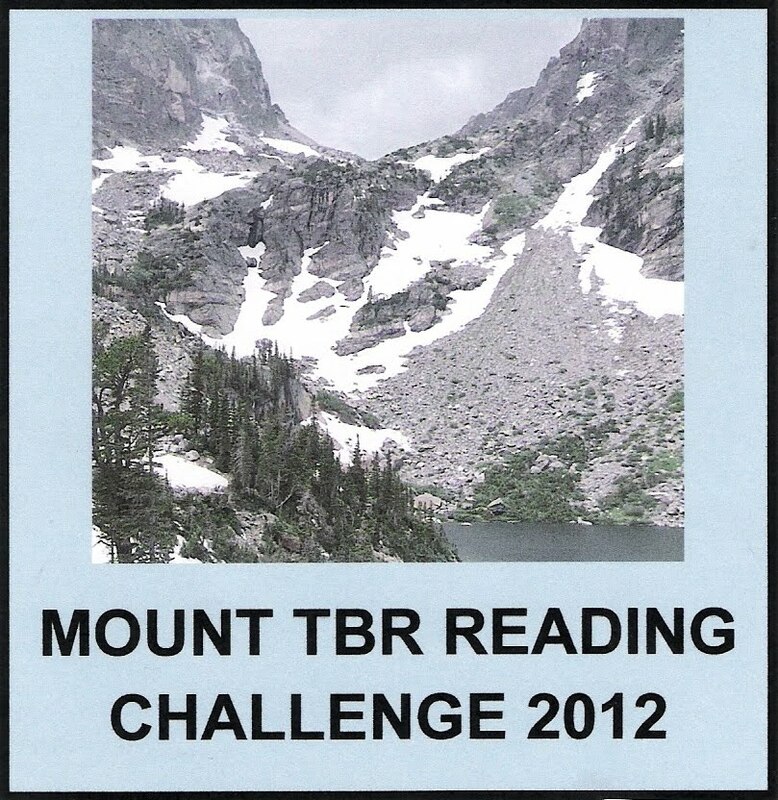 I remember when it just sounded like a good book–before it was a Pulitzer prize winner. That was about ten years ago! How can a book be on my TBR list for ten years? So, when I heard the The Marriage Plot was coming out, I decided I’d jump in and read that instead, or maybe before I got any farther behind. That was about a year ago, right? But at least it wasn’t ten years ago. The Marriage Plot is about three young adults who have just graduated from Brown University. It isn't so much about what they are going to do, but about who they are. It's about relationships. Aside from the fact that they are all studious and intelligent, each is very different from the others. They have different backgrounds and personality types. There is Madeline Hanna, the female. A pretty, athletic, romantic English major, she comes from a wealthy, supportive family. There is Leonard, the biology major, whose parents are alcoholics and divorced. He is handsome, charming, witty, and he is the one who wins Madeline’s heart. But, just before graduation, Madeline learns that he is manic-depressive. A lot of what happens revolves around this fact about Leonard. Finally, there is Mitchell. He is shy around girls but obsessed with Madeline. They are "friends" despite the fact that Mitchell wants something more. He’s a brilliant religious studies major, who is both studying and seeking God. 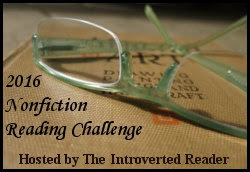 The story is completely character-driven and utterly absorbing. It follows Madeline, Leonard, and Mitchell in the year after their graduation and, through the use of many flashbacks, it fills the reader in on their lives up to and through college. Eugenides knows his subjects (and their subjects) intimately and he’s able to take the reader right back into that college-age mind-set. Experiencing so much right alongside the three protagonists helped me empathize with their problems, which run the gamut from typical teenage adjustment stuff to the heartbreaking complexity of living with mental illness. One of these days, I still hope to read Middlesex. But for now, I can at least say I’ve read something by Jeffrey Eugenides and I’m very glad I did. I noticed The Doctor and the Diva by Adrienne McDonnell while browsing in the bookstore back when it was first released. I was intrigued by the premise but put the book back on the shelf because I had told myself I couldn’t buy anything new until I put a dent in my TBR pile. My resolve never lasts very long. My pile continues growing. But I did hold off one acquiring this particular book for quite awhile. And then, my book club chose it for this month’s selection. So! There was nothing I could do but give in and buy it. Set in the early 1900's, it tells the story of three people: an intense, intelligent obstetrician/fertility expert named Dr. Ravell and one of the couples who has come to him for help. The husband is Peter Myrick, a wealthy Boston businessman. His wife is Erika von Kessler, a beautiful woman with an extraordinary gift for singing. 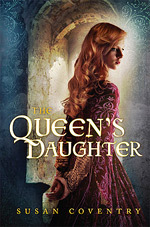 More than anything, Erika wants to pursue her dream of becoming an opera singer. She also wants a child, but years of barrenness have convinced her that only one door is open to her– her preferred one. Erika is harboring secret plans of running off to Italy to pursue her career, but she continues to go through the motions of seeking to become pregnant to please Peter. Dr. Ravell, who has heard Erika sing and is enthralled by her, cannot bear to think of the sorrow she and her husband are facing. He becomes even more determined to help her conceive. And Peter is obsessed with the idea of having a child not just to become a father, but to bind his wife to him more fully. This is a gripping story of people who, to all appearances, have everything in the world, but each of whom is yearning for the one thing just out of reach. While some of the plot events are predictable, there were enough surprises to keep me on my toes as I read. The characters are very well drawn. Their dilemmas are laid out in clear enough terms that a reader can understand why they take the paths they do, even if the choices are appallingly hard. 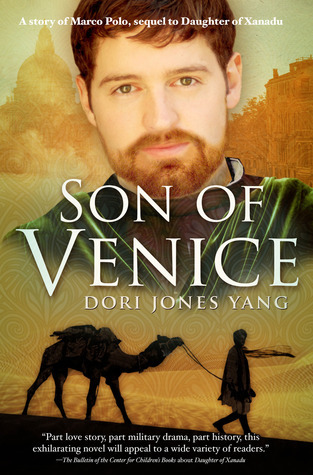 As a historical novel, it was a fascinating snapshot of a certain segment of society of the times. 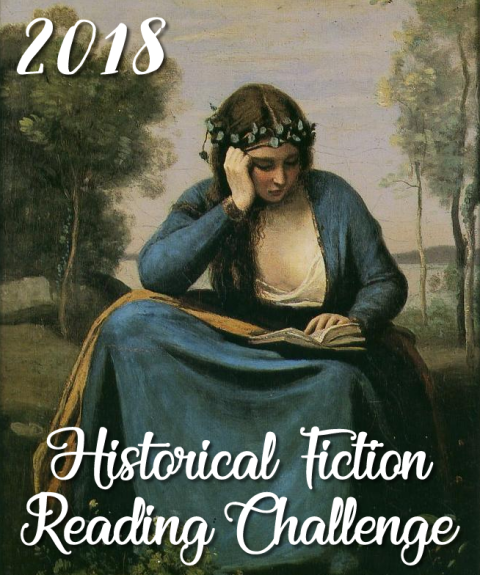 I’m adding it to my Historical Novel Challenge books. The challenge is hosted by Historical Tapestries. Come check out the reviews and find more books to add to your TBR piles! 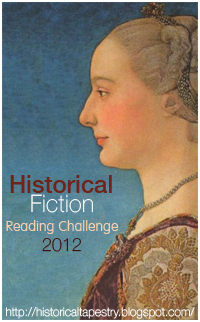 Halfway through the year, I’m sadly behind on my challenges, except for the Historical Fiction Challenge. 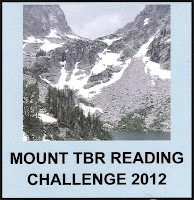 So, I thought I’d better pluck a dusty book off my shelf and check one off Mount TBR hosted by My Readers Block. 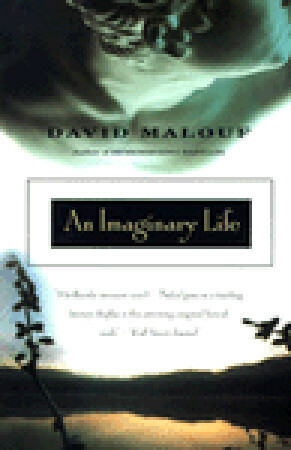 After reading Ransom by David Malouf and falling in love with the author’s writing, I hustled out and bought An Imaginary Life, certain I would sit down and read it at once. That was at the end of 2010. An Imaginary Life follows the many thoughts and relatively few actions of the first century Roman poet Ovid (Publius Ovidius Naso) after his exile to a tiny village on the Black Sea for some obscure offense to the emperor. The "uncivilized" people of the village are hunter/gatherers who don’t speak Latin. At first, Ovid is plunged into despair by his isolation, inability to communicate, and lack of all things familiar. The landscape is too barren to be of any comfort. He’s trapped inside his own mind and the reader is there with him. That isn’t to say that the writing is not beautiful–it is. His thoughts are lofty. But compared with the high tragedy of Ransom, Ovid’s road to self-discovery was not as emotionally engaging for me. He does reach a crisis. When on a hunt, they come across a feral child, about ten or eleven years old. Ovid has a dream-like memory of this child. Has he seen him before, in his own nonverbal toddlerhood? He insists that the Child must be rescued. His companions are not as motivated. They fear the feral boy as part beast, part man, and part evil spirit. They believe that if Ovid succeeds in taming the boy, the wild beast/spirit will claim another member of the community. Ovid has no such superstition, but it turns out there is reason for fear. The conflicts between superstition and rationality, civilization and barbarism, man and nature, are explored with images that are stark one minute and lush the next. It is a short book that nevertheless takes you on an elaborate journey encompassing a richly lived life. If you’re looking for some philosophical down time, this is a lovely book to savor. But if I had to choose only one Malouf book, so far I would vote for Ransom.